This is the first high-ranking European delegation visiting Tehran in the wake of the nuclear agreement with P5+1, said Hossein Esmaeili. The Deputy to Chancellor of Germany who also serves as Minister for the Economy and Energy Sigmar Gabriel arrived in Tehran on Sunday at the head of a high-ranking economic and business delegation. 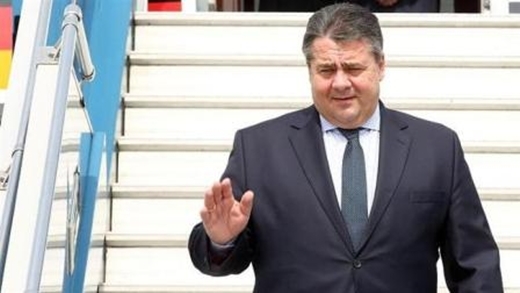 Gabriel, who is equivalent of a deputy prime minister and is the president of the Social Democratic Party of Germany (SPD), and his 60-member delegation are visiting Iran at the invitation of Oil Minister Bijan Zanganeh, Shana Petro Energy Information Network reported. “This is the first high-ranking European delegation visiting Tehran in the wake of the nuclear agreement with P5+1,” Oil Ministry Director General for Europe, America and Caspian Sea Hossein Esmaeili said. The visiting representatives from 10 major German firms as well as SMEs specialized in high-tech and industrial equipment will meet their counterparts in private and public sectors, he added. According to the official, meeting with ministers of oil, foreign affairs, energy and industries, and members of the Iran Chamber of Commerce is on the visit schedule of the German delegation.